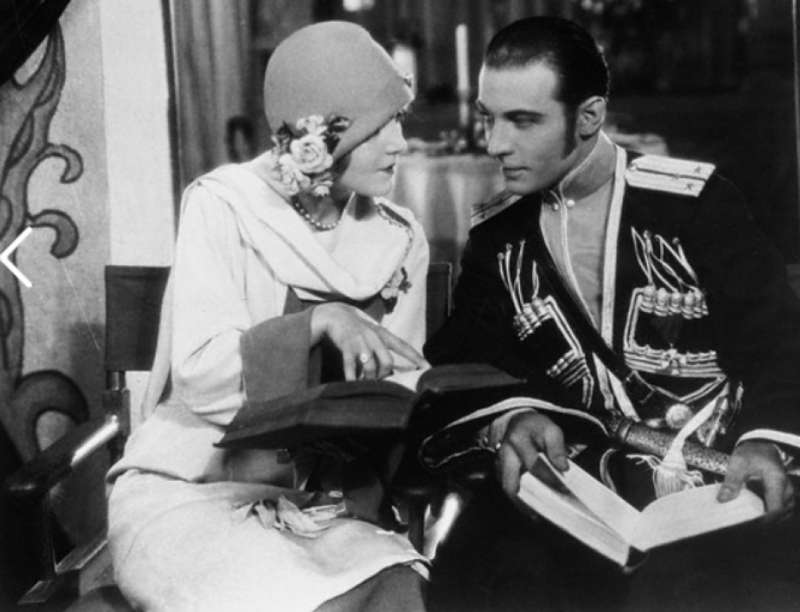 Rudolph Valentino’s new picture, “A Sainted Devil” from the story Ropes End by Rex Beach. Nita Naldi, Louis Lagrange, George Siegmann are a few of the prominent names which appear in the supporting cast of this production. It is a story laid in the Argentine, and tells of the country-wide search of a young Spaniard of wealthy parents for his convent-bred wife who was stolen from him on their wedding night by bandits. “A Sainted Devil” is declared to be the greatest Valentino production up to the present.